My last post looked at how Greenwich Council has received £23 million over the past two years from developments occurring across the borough. As the borough is in line to see the second highest number of homes out of any London borough over the next decade, much more will flow in. But very little seems to be spent around new developments to benefit existing residents. Public realm is too often ignored despite the known benefits of better streets and parks for community well-being, health, and related issues that poor quality public areas bring with crime and fractured communities. As well as £23 million received over the past two years, Greenwich Council has received a total of around £45 million over the past five years. Some of it certainly does good – employment schemes, education etc – but other authorities provide this too without ignoring local area improvements. And some of the most neglected areas are those that see little to no money spent locally. It appears that very little, if anything, has been spent locally so far on improving public spaces. £54k did however go to Greenwich Town Centre for the area beside the Cutty Sark, which was labelled as “Local Community” spending. The entire list can be seen here. I’ll leave you to reach your own conclusions about whether a public realm scheme in Greenwich should count as “local community” spending in Plumstead. £135,000 has been allocated for ‘open space’ but has yet to be spent. With Greenwich Town Centre being labelled as “local” spending who knows where the £135k will go? EDIT: The money went to Eltham and spent at Well Hall. Of course, if Greenwich Council had regular local meetings like other councils a list of projects could be drawn up to work through with incoming cash. They are now running “Better Together” meetings but it’s far from regular and there’s sometimes little scope to raise these issues. It’s not like what other councils are doing. It appears that much money for “local improvements” across Greenwich borough was diverted to Greenwich town centre to spend on Cutty Sark Gardens. Hardly the most pressing need for it given the previous area was fine. 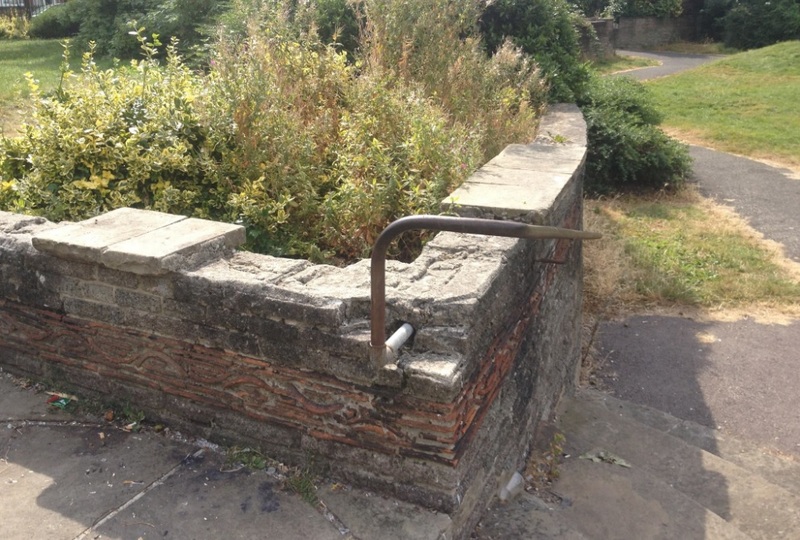 The scheme, which cost £5.4 million (and was claimed to have been entirely funded by central government at the time) saw its flagship water feature switched off within two years. Firstly, there’s a question of whether central government should be funding this. But if the local authority is, why not use funds coming in from the nearby Peninsula developments? Why did Abbey Wood see almost nothing spent locally on its estate, long neglected and with an unappealing centre at Eynsham Drive? In addition, Greenwich Council are using £75,000 of Section 106 money to move the existing Abbey Wood library in the estate to a spot beside Sainsbury’s so it’ll be five minutes away from a Peabody funded library in Bexley borough, thus spending much money to duplicate services whilst leaving many estate residents a long way from a library. EDIT: Apparently the library move is now off but the money is still unspent. No answers as to what’s happening. Money that does come in is also often spent to things central government should be funding. And it isn’t all about cuts. These are areas where central government money exists, but some in Greenwich seem to want to live in their own little republic so spurn money from outside. It wasn’t that long ago the nonsensical idea of taking buses from TfL was raised by some. Refusing outside money removes local money or assets. Witness how Greenwich Council want to sell off publicly owned assets in Plumstead such as the Kinara building to fund an updated library and possible street changes, rather than use external funds and still retain public buildings, or at least still sell them and then use that money in addition. Back to public space, and it’s really quite common across London to see areas given a visible lift when new developments appear. Better parks, public spaces, play areas, walking and cycling routes, better street furniture and other things to lift local pride and promote local business, support vital local hubs and encourage walking and cycling for health benefits. There’s some small hints of change when it comes to improving areas, with the Council perhaps realising the importance of this. Abbey Wood’s parade of shops by Crossrail is seeing money from the HILLS project. The above area is on Eynsham Drive. £120,000 is allocated for the road from TfL money next year but as I’ve said before we have no idea what it covers and no consultation so far. The HILLS project, mentioned above, is a very good Greenwich Council scheme that covers public realm work but is mainly focused on re-tarmacking roads. I wrote in praise of it looking at public realm here. Looking back at the list it doesn’t seem to have achieved much, and the sums were minimal. Still, it’s a start. Unfortunately it looks as though it could end in 2017. It could be bolstered, particularly in the area of street and public realm improvements. Pooled Section 106 resources could help to fund schemes with a rolling program of improving the many dated local town centres undertaken. 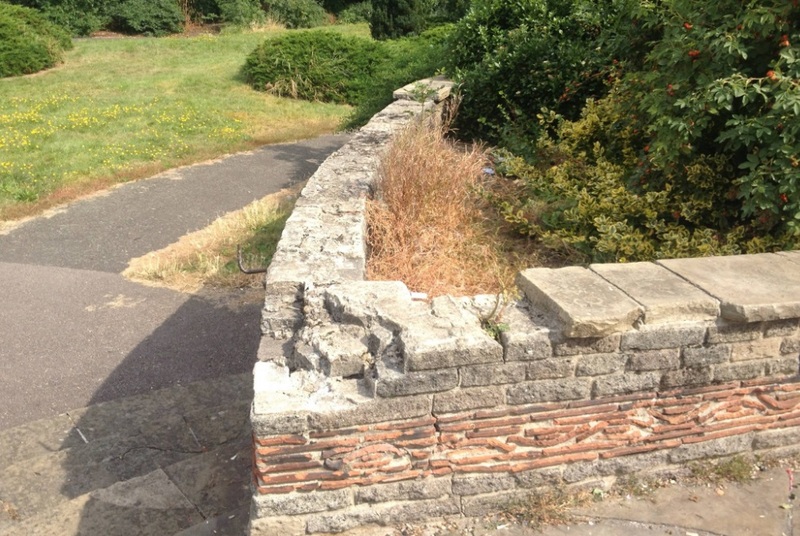 Couple that with enforcement action on neglected buildings with powers than already exist, as I covered here, and using other sources of funding such as TfL’s annual £3.5 million “Local Implementation Plan” funds, which would see a real improvement across the borough. Get talking to locals and a list of desired projects could be worked through. But alongside this the Highways Department really need to get into 2016 and leave 1986 behind. They are still carrying out work to guidelines that are anti-pedestrian and making areas ugly and off-putting with practices that many other authorities ditched long ago. TfL have street design guidelines for local councils now which they really could do with looking at. I see that the finishing touch to the £1.2 million road upgrade from Plumstead to Woolwich was to install the cheapest guardrail for miles. Such little things on a £1.2 million scheme but it makes it look like a dual carriageway built in the 1980s. Week after week we are seeing how so much funding is available but doing nothing for many places. Eynsham Drive shops is a great example. So they sent away £200,000 income from Abbey Wood developments to Charlton. Just a quarter of that could have seen trees planted around the shops to improve the rather harsh and cold appearance of the architecture and improve crap spots seen in the photo, as well as the bits by the library and former council offices. That shopping area is embarrassing. To know money is there but not used is so sad. I just think Labour take the place for granted along with its voters. ANY party that came along that was half credible would get decent support. Only so long you can ignore your voters.